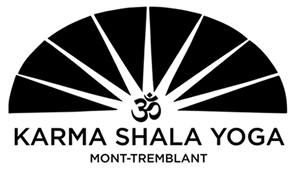 At Karma Shala we offer private yoga packages for brides and their bachelorette parties who are looking to celebrate in a fun, memorable, and meaningful way. Our beautiful candlelit yoga classes and wish ceremonies offer a unique daytime activity that will give you the relaxation, detoxification, and unity you need before or after your big night out with the girls. We offer 3 different packages to best meet your bachelorette party’s needs. Any of the following styles of yoga can be selected for your group: hot yoga, aerial yoga, flow yoga, yin yoga, hatha yoga, power yoga. Prices are per person. There is a minimum of 5 participants per group.